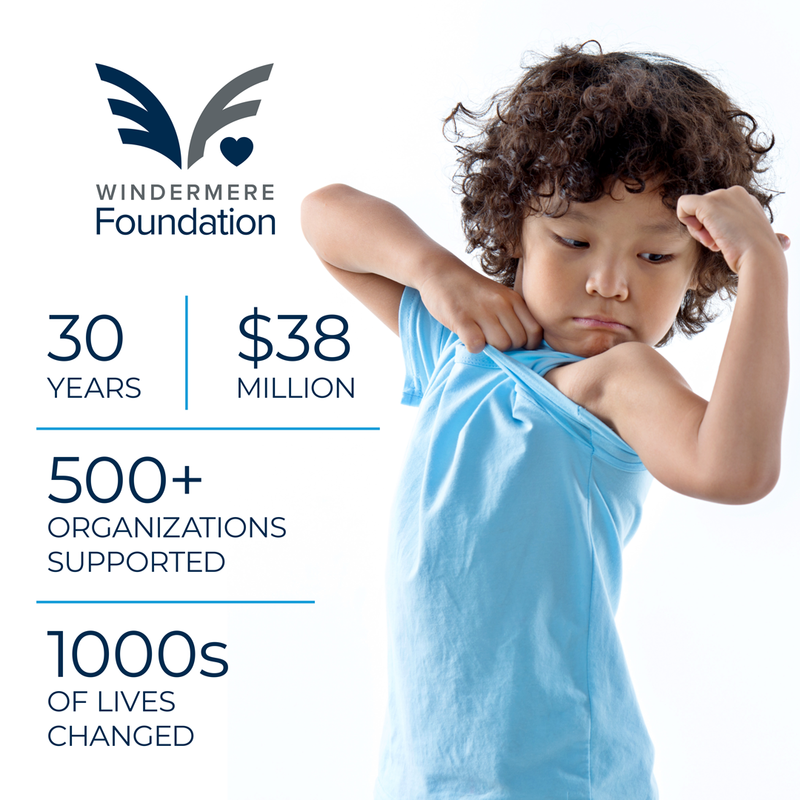 2018 concluded with another great year of fundraising and giving for the Windermere Foundation, thanks to the continued support of Windermere franchise owners, agents, staff, and the community. Nearly $2.5 million was raised in 2018, bringing our grand total to over $38 million raised since the Foundation’s inception in 1989! During the past year, nearly $1.9 million was donated to non-profit organizations throughout the Western U.S. that provide much-needed services to low-income and homeless families. In 2018, theWindermere Foundation fulfilled 689 grant requests and served 507 non-profit organizations.